Artist <a href="https://www.behance.net/edoardotresoldi" target="_blank">Edoardo Tresoldi</a> created Incipit, a sculpture that appears to straddle the line between reality and fantasy. 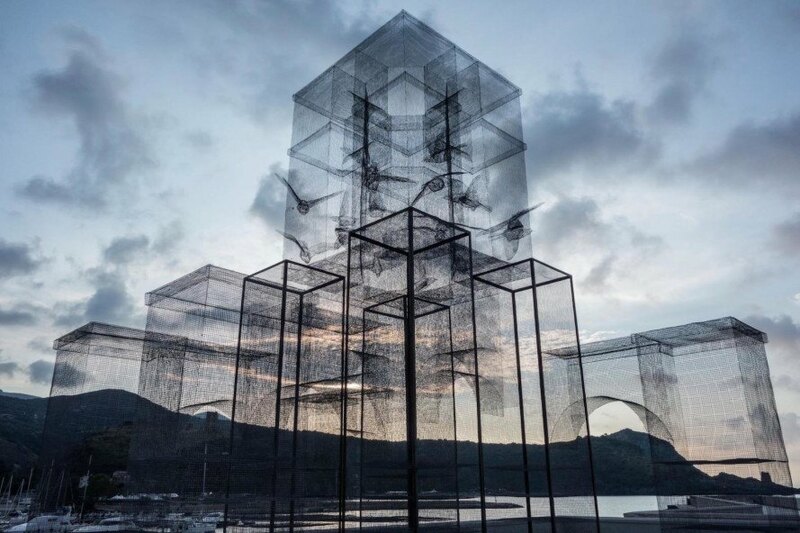 Commissioned for the 2015 <a href="http://www.meetingdelmare.it/" target="_blank">Meeting del Mare</a> festival in Camerota, Italy, Incipit comprises a series of arches and tall rectangular blocks woven from a wire mesh. 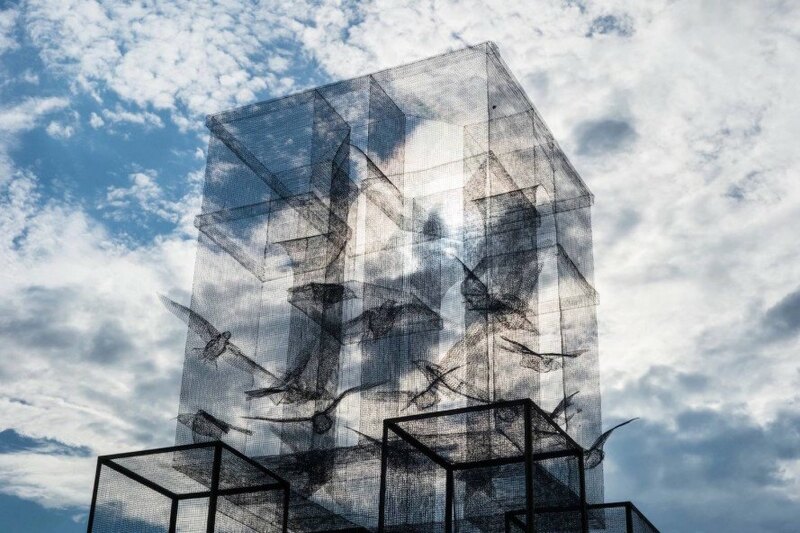 While the rigid geometry appears to ground the sculpture in reality, the see-through material and addition of wire mesh seagulls in mid-flight add complexity to the piece and give Incipit an unearthly quality. 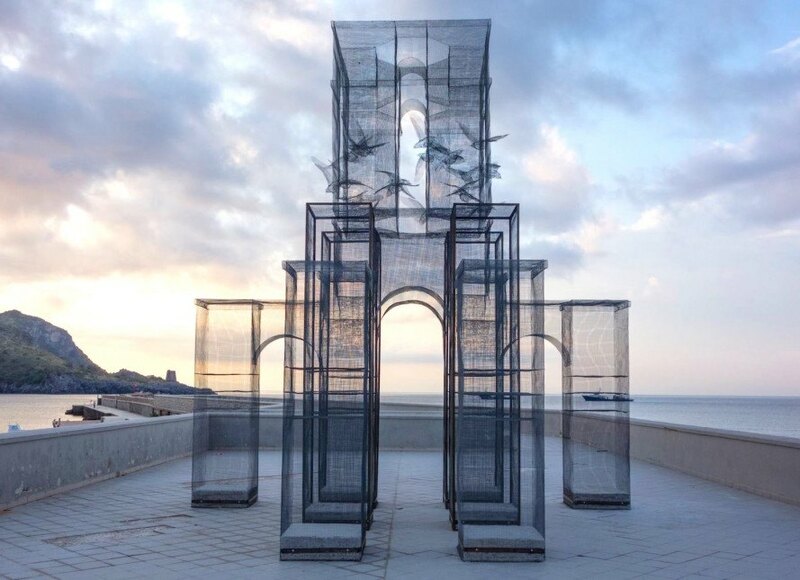 Incipit is a site-specific installation built adjacent to the Tyrrhenian Sea so that viewers can see through the wire mesh sculpture and out towards the expansive sea and sky beyond. 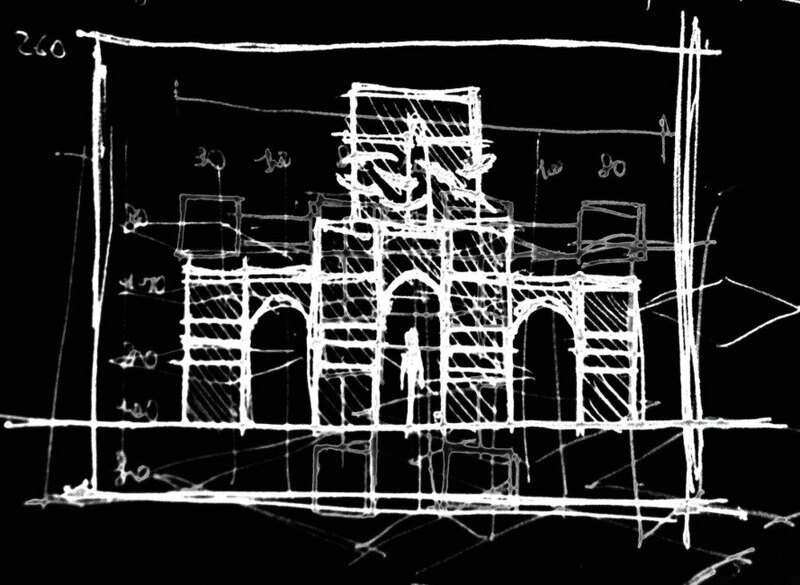 The landscape and the light are treated as integral components of the sculpture. 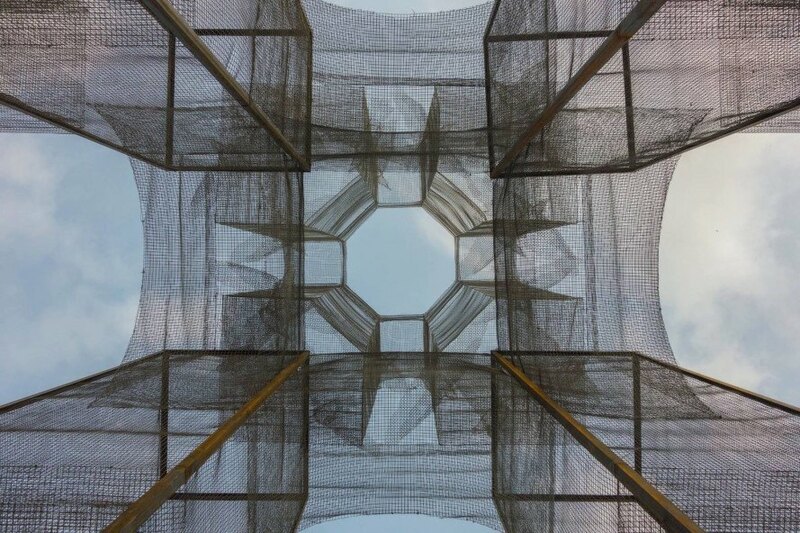 The large-scale piece also invites interaction, and passersby can walk beneath the arches to take in different views. 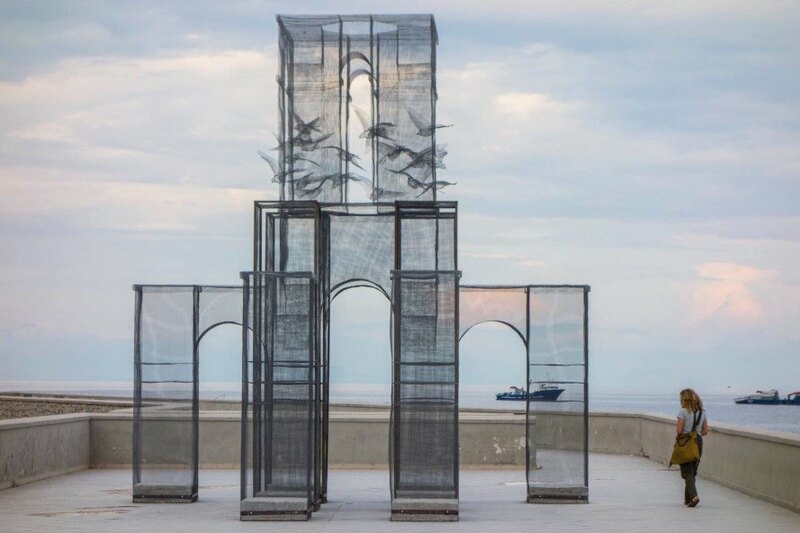 The sculpture was created in collaboration with the Inicipit arts collective and was curated by Simone Pallota and Antonio East. 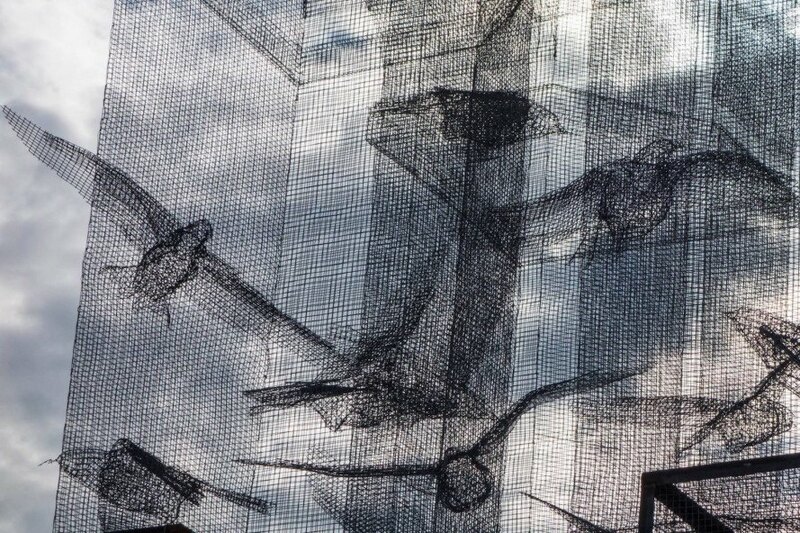 Each piece of the installation was painstakingly put together by hand, from clipping the metal meshes to size to zip-tying and weaving the meshes together into the final shape. The “building blocks” were then assembled onsite over the span of a few days. 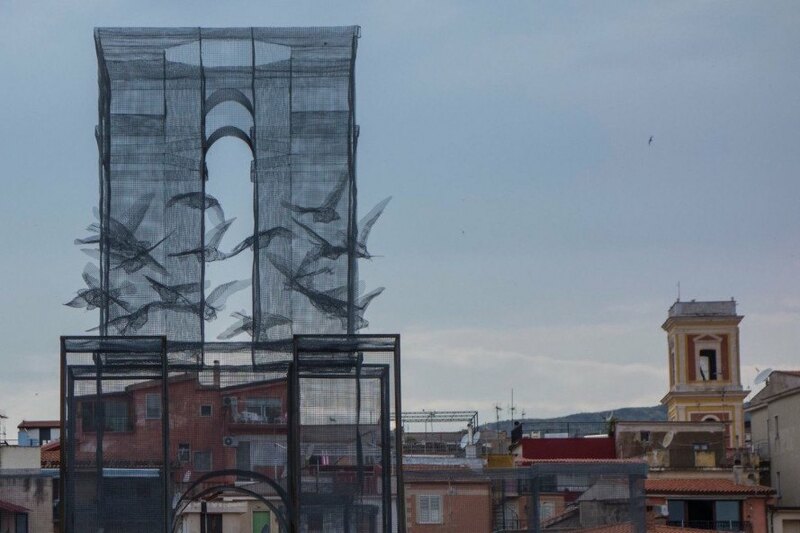 Artist Edoardo Tresoldi created Incipit, a sculpture that appears to straddle the line between reality and fantasy. 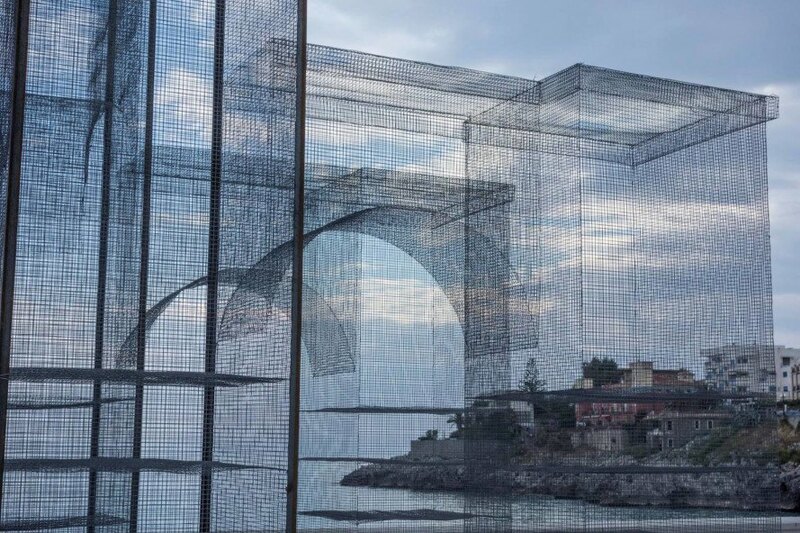 Commissioned for the 2015 Meeting del Mare festival in Camerota, Italy, Incipit comprises a series of arches and tall rectangular blocks woven from a wire mesh. 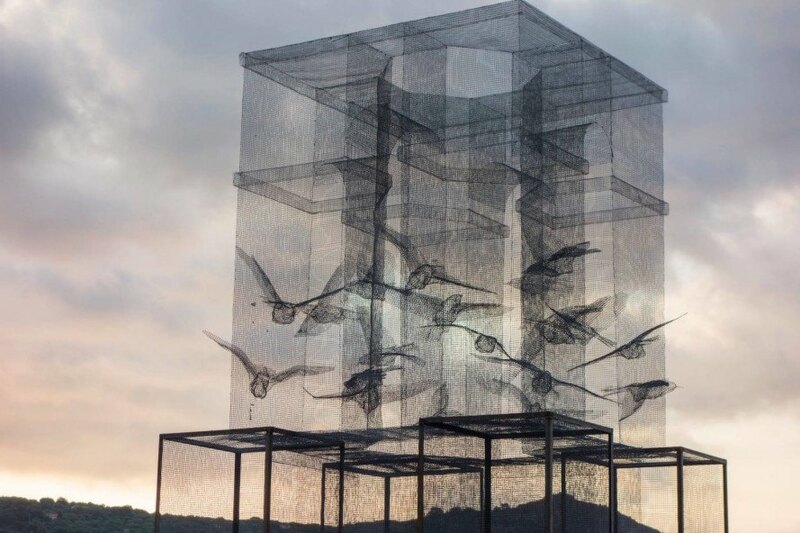 While the rigid geometry appears to ground the sculpture in reality, the see-through material and addition of wire mesh seagulls in mid-flight add complexity to the piece and give Incipit an unearthly quality.